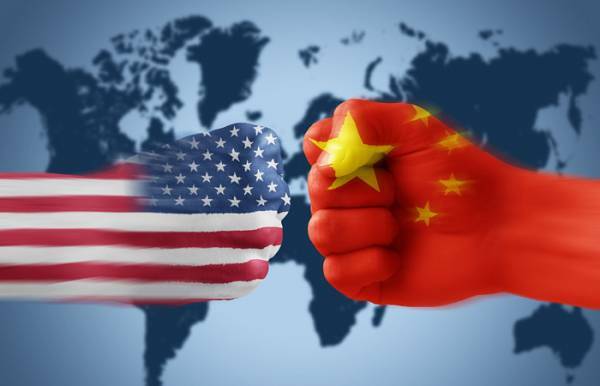 The Trump administration has gone ahead with its threat to impose tariffs on China under section 301 of the 1974 US Trade Act, imposing levies on $34 billion worth of Chinese goods from midnight, with a further $16 billion to be targeted in the near future. The action is the first shot in a direct trade war against China, with President Donald Trump telling reporters yesterday that more is to come. China said it would respond immediately with “equal scale, equal intensity,” with major targets including soybeans and sport utility vehicles (SUVs). According to lists published by both sides, the US tariffs will cover 818 categories of goods from China, while the Chinese measures will hit 545 categories of products from the US. One of the key issues now is how the US responds to the Chinese counter-measures. In the war of words leading up to today’s actions, Trump threatened to impose additional tariffs on up to $400 billion worth of Chinese goods if Beijing retaliated against the US. The interconnections between the two largest economies mean that the escalating trade war will involve companies around the world. Gao pointed out that $20 billion worth of Chinese-made goods targeted by the Trump administration were manufactured by foreign companies, including from the US. Foreign-owned companies operating in the US that export to China are being dragged into the conflict. The German firms Daimler and BMW, which manufacture in the US and export SUVs to China, will now have a 40 percent tariff imposed on their products, worsening their position against rivals that are not impacted, such as Toyota. German firms and other auto makers face another potential hit if the Trump administration imposes tariffs, possibly as high as 25 percent, following an investigation to examine whether imports jeopardise US “national security.” Trump has indicated he expects the results of the probe, under section 232 of the 1962 Trade Expansion Act, to be released within three to four weeks. The largest business lobby group in the US, the Chamber of Commerce, warned that Trump is risking a global trade war. The US measures are aimed at Chinese hi-tech industries, in line with a Trump administration plan to deal a blow to Beijing’s efforts to move up the value chain under its “Made in China 2025” plan. Navarro and others in the administration have insisted that economic security is inextricably linked to national security and China’s rise in hi-tech development threatens to undermine US military supremacy. But the integrated character of hi-tech development, in which components cross borders during the manufacture of the final product, means that US companies will be hit by the trade war measures. According to a report in the Financial Times, if the tariff measures were meant to reassure American chipmakers, they have failed. “The complexity of the semiconductor supply chain means US companies will be hurt more than their Chinese counterparts by levies, according to the Semiconductor Industry Association in Washington,” it said. Key sections of US industry and the political establishment insist that while action must be taken against China’s move to hi-tech development, the administration is jeopardising its position by taking tariff measures against its potential allies, such as Canada, Japan and the European Union. In this view, the potential economic and military threats to US dominance must be combated, but the Trump administration is going the wrong way about it. In other words, conflating economic relations with national security increases the risk of military conflict. These contradictions have found their expression in the trade war measures initiated by Trump today, with others set to follow, both against China and other US rivals. “China’s rise in hi-tech development threatens to undermine US military supremacy.” How absolutely atrocious! The USA may have to reduce its invasions, killings, threats and occupations, and even spend money on something useful at home, like education, housing, health.